Dina Maia (5) & I visited Woom Bike warehouse couple months ago. One of their nice representatives gave us a tour of their facility. 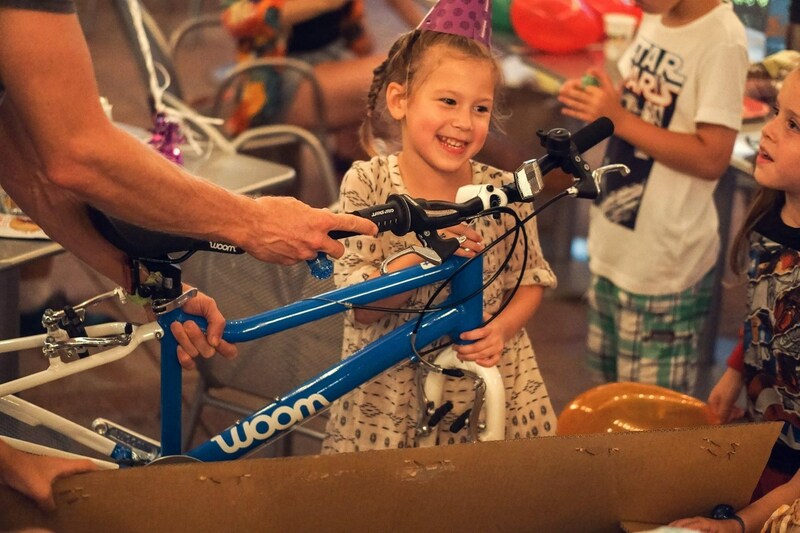 Woom designs and builds bikes designed for kids. Design and manufacturing is done in Vienna, Austria. Final assembly, inspection and shipping in done out of a warehouse here in Austin, TX. 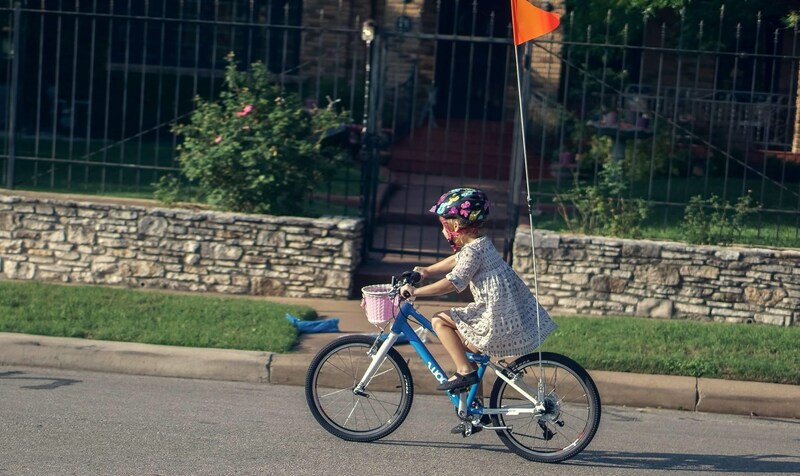 Dina grew up fast and for her birthday we decided to get her a new bike. Blue Woom 4. 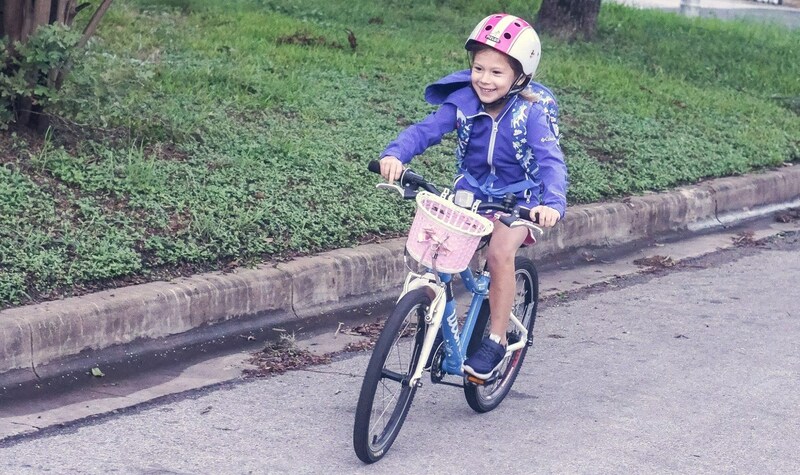 Her previous bike was a basic steel Royalbaby Jenny Princess Pink bike. By now we already had it for couple months and here's my review and opinion. The bike comes in a nice box where little assembly is needed. It also comes with all the tools to put the bike together. No need to bring it to the bike shop for assembly. It’s made of lightweight aluminum as compared to your run of the mill Walmart bike. It’s much easier to move around and pick up if it falls and won’t feel like a motorcycle. Has 8 rear gears. This is huge. Dina can now go up hills whereas before she would get stuck going up a hill on a single speed. Breaks and drivetrain are good quality and won’t start rubbing or making noises. Always work flawlessly. Kickstand is nice to have. The seat is a bit hard to sit on for an hour or two without some sort of cycling shammy for a 5-year-old. Good thing is that Woom can supply you with a different seat that has a nice cut out and is very comfortable. Then again, 5-year-olds are not very heavy so I’ve no idea how comfortable the original seat really is. Accessories. Woom have cool kid gloves in stock and awesome helmets with a magnet so that you don’t pinch the skin while bucking them. It would be nice if they had a branded front basket to match or some sort of other storage for the bike. Design. 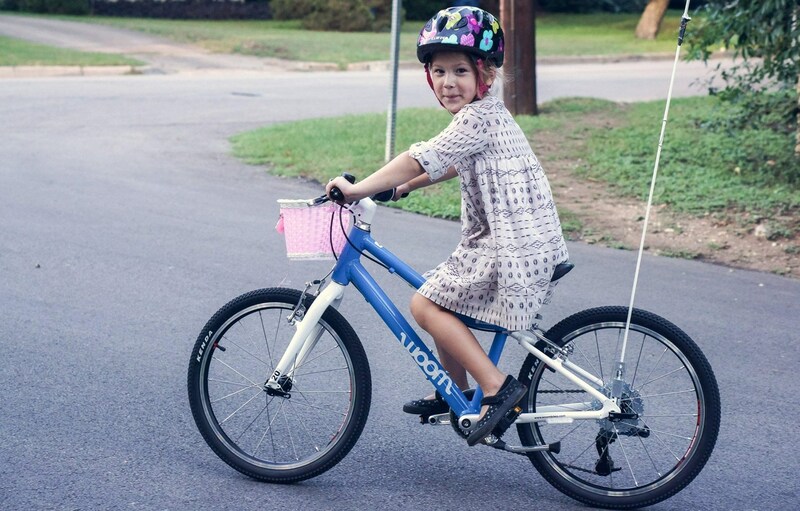 Woom’s job is to sell those bikes to the parents who in turn have to “sell their kids” on those bikes. 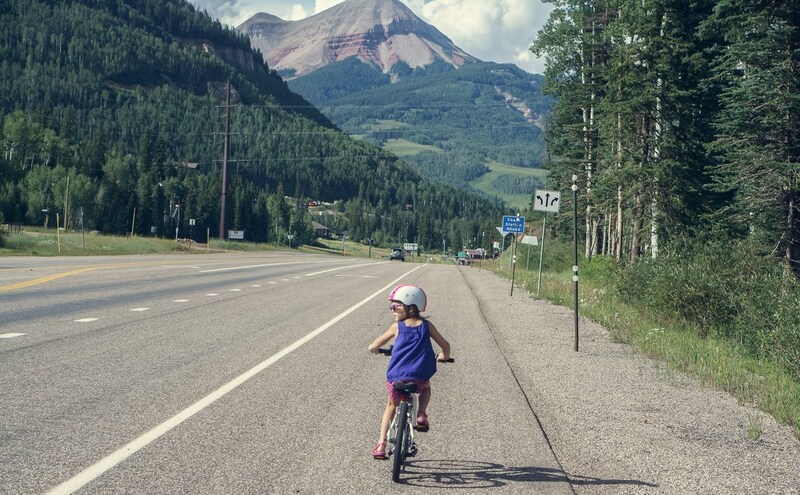 I’ve heard many stories where the kids don’t want to ride their bike for one reason or another. 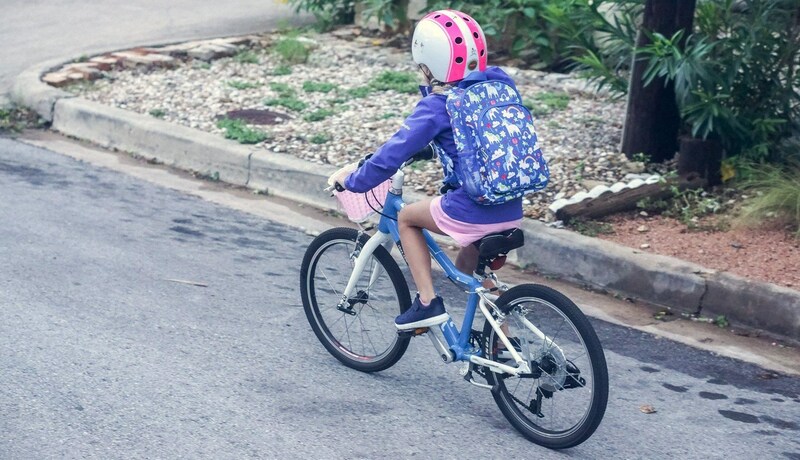 Solid colors are cool and efficient but having cool designs that would appeal to kids make it easier for us to go ride together. Adults have cool frame designs. Why not kids? I think some parents might pay premium for appealing themed frame designs. 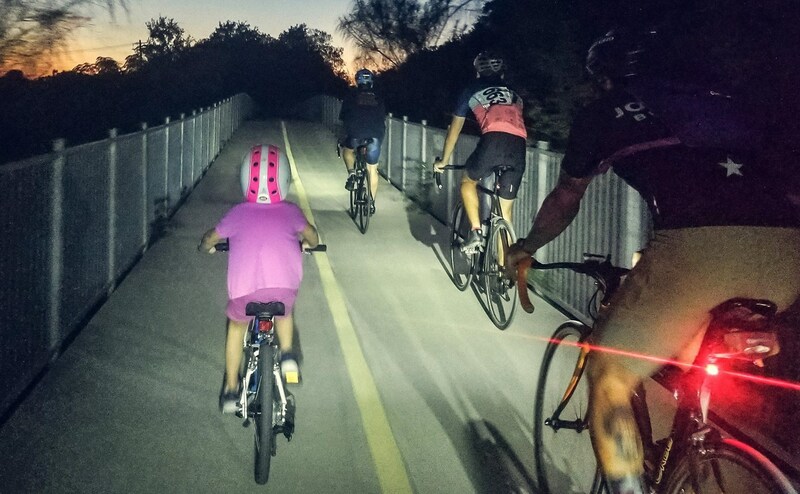 Dennis is a Cat 2 road cyclist from Austin, TX.